Every so often we come across an artist who uses their incredible talent to make a difference in our world, opening our eyes to the realities of the world around us. Creative and insightful, they help us to see the problems that we are otherwise blind to. As is the story of British artist Steve Cutts. Originally employed by an advertising agency with such well-known clients as Google, Toyota, Virgin, Coca-Cola, and Reebok, Cutts felt as though his talent wasn’t being used to its full potential. Rather than continuing to run the rat race as part of the corporate world, he left his job to start his career as a freelance illustrator and animator. Pushing the boundaries, Cutts uses his talent to highlight situations in our society that demand attention. The dark side of humanity, his images and animations touch on such controversial topics as the killing of animals for sport and consumption, the production of items no one really wants or needs, environmental destruction, the global totalitarianism of corporations, and more. His work triggers much-needed conversations, in the hope of fixing our world’s greatest struggles. In fact, those who love the London-based artist would argue that he operates under the belief: ‘the more controversial, the better’! With over 500,000 people currently following his Facebook page, his incredible work has made its way around the globe. His most popular film was titled ‘MAN’. Created in 2012, the animated short has been viewed by over 28 million people on YouTube to date. Discussing important environmental and animal rights issues, it depicts the relationship between man and the natural world. 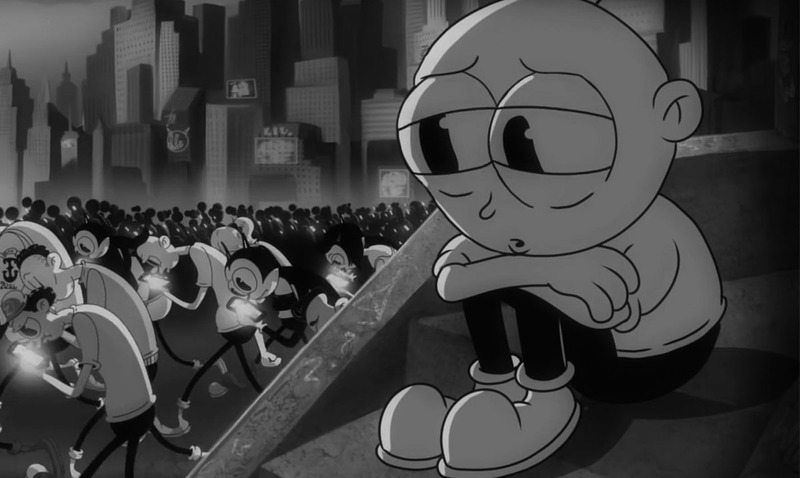 Steve Cutts’ popularity only grew further with the help of a Cutts couch gag on season 27 of The Simpsons, in January 2016. In October 2016 Cutts was given the opportunity to illustrate a music video for Moby and the Void Pacific Choir. Titled ‘Are You Lost in the World Like Me?’, the animation specifically addresses our society’s smartphone addiction. Gathering great support, the video won the 2017 Webby Award for animation. Also in 2017, he won the Jury Award at the Annecy International Film Festival.